The best way to deal with difficult interview questions is to spend some time thinking about how you are going to answer them before you even step foot into an interview. While it's impossible to predict every question you may face, it is very beneficial to think about the best way to respond to some of the most common hard-to-answer questions when you're preparing for an interview. Before you go on an interview, decide how you're going to respond to the types of questions -- like "name your strengths and weaknesses" -- that make you uncomfortable. When you get this question, keep in mind that the job interviewer is looking for information that relates to how well you are likely to perform on the job. Stick to information that relates to your professionalism, skills, and work habits. Do: I am a hard working person who has always been interested in working in the healthcare profession. I really enjoy working in a team environment, and I feel that helping parents schedule medical appointments for their children will be a very rewarding work experience. Don't: I have three dogs, and I really enjoy knitting. I like spending time with my friends, and I'm looking forward to going on a cruise with them next summer. The do example provides details that the interviewer is likely to be interested in. Additionally, this response lets the interviewer know that you have an understanding of the position for which you are applying and that the job actually matches your career ambitions. The don't example may be true, but it certainly doesn't reflect anything that the person interviewing you is likely to care about. If anything, you're sending a message here that you are more concerned with talking about your personal interests than in selling yourself as a potential employee. Do: My goal is to work for a company where I can make important contributions and have opportunities to advance over time. I have heard great things about your company, and feel this is a place where I can make a significant contribution. Don't: Because I need a job. The do example conveys that you have a sense of ambition and are looking for a career rather than just a place to work until something better comes along. This response emphasizes what you can do for the organization, rather than focusing on what the company can do for you. The don't example above is, unfortunately, the way that people tend to respond to this question. The purpose of this question is to find out if applicants have actually given any thought to the position for which they are applying. One of the biggest expenses any company has to deal with is employee turnover. Prospective employers don't want to hire people who just need any job. They want to hire people who really want to become a part of the organization. Can You Tell Me About Your Work History? This is a pretty straight-forward question where the interviewer is likely interested in determining if there are any similarities between old jobs and the one that you are applying for now. Do: In my past positions, I have had experience with marketing which covered many areas including sales and public relations. In each of my previous positions, I gradually increased my level of responsibility within the organization. I hope to be able to bring my experience and knowledge to this position. Don't: I worked at Company A in marketing and sales for two years and then went to Company B in the advertising and marketing department for five years and then I worked at Company C as a junior executive for two. The do example allows you to go through the basics of your job history and relate your skills to some of the bullet points from the original job posting. The don't example is just a laundry list of your jobs which doesn't tell the interviewer anything. Since the interviewer has seen your resume, he or she can read the step by step progression of your career. You need to give them more and highlight your strengths. Why Did Your Leave Your Last Job? Do: My skills and experience were not a great fit for my last position. The do answer is an example of how to handle this question if you have been fired. You want to put the best face on why you were let go without lying -- because the company could check. If you left the job for other reasons like relocation or a layoff, you can talk about that as well. The don't reply is too blunt and does not say anything helpful about you or your work history. Do: At Company C, I took the leadership role on a team project. We developed a new organization system which we then expanded to include the entire organization. Don't: I don't know. That's a good question. The do answer discusses a significant achievement in your work history and how it impacted the company in a positive way. The don't example shows that you are not prepared and may have difficulty thinking on your feet. While this seems like a simple question, if you are not prepared for it, your mind may go blank under pressure. 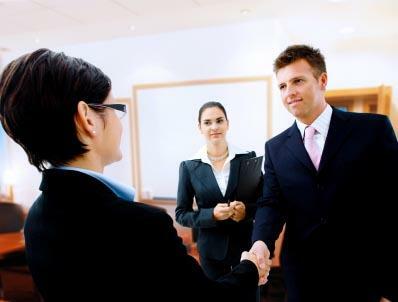 You should have an event -- or two -- from your career ready to go for the interview. Also, it may seem like a good idea to buy some time with the "that's a good question" but the interviewer may feel it is more of a stalling tactic. Can You Think of a Problem in Which Old Solutions Would Not Work? Do: At company C, we relied on client feedback for upgrades on the marketing campaign which usually were managed by fax. Once our office phone lines and Internet went don right before the deadline of a project and I went to the coffee shop and used the wireless connection on my tablet to finish the project. Don't: When the phone lines went down, there was nothing I could do so I waited until they came back up. The do answer shows that you can be creative and quick-thinking in a crisis. The don't example does not tell the interviewer anything about your improvisation skills or how you handle unexpected issues. It also does not demonstrate your knowledge about the industry either. This answer also makes you seem a little timid -- where there was a crisis and you made no effort to figure out what to do. Make sure you are prepared to show your ability to find solutions to problems during the interview. Do: During that time between jobs, I worked as a freelance marketing consultant for several clients. Don't: I was looking for a job. The do answer shows that you did something constructive during your time between jobs. You can also highlight any additional skills you might have gained outside of your full-time jobs. The don't answer doesn't show the interviewer that you have any initiative to make something happen while looking for your next position. You want to avoid long gaps on your resume so if it is taking a long time to find a new job, look for other opportunities. What Manager Has Liked You the Least and What Would He/She Say About You? Do: My manager from Company B and I did not always see eye-to-eye on issues. I did have a tendency to be impatient but my leadership experience at Company B and Company C showed me how to use my impatience to meet deadlines. Don't: My old manager had something against me. There is nothing to dislike. The do response is honest and also keeps a positive spin on things. You should also try to point out a trait that could be a negative but in the right circumstance could be a benefit. The don't response feels dishonest; if you say that there is nothing that your manager disliked about you, the interviewer will think that you are lying. Do: If this is the opportunity for me, I am sure the offer will be fair. Don't: I want to make a lot of money. This do answer allows you to avoid the question while answering it. You can also research salary before the interview to determine the prevailing rate for the position that you are interviewing for. There are ways to estimate what your offer should be but you also don't want to box yourself in and leave money on the table by giving too small a number. The don't answer sounds immature and unprepared. This is a tricky question and it is important to determine your method of answering beforehand. The do response gives you the last chance to ask questions about the company that you are hoping to work for. Don't ask questions that are negative but try to better understand the company. The don't answer leaves an opportunity on the table to show the interviewer that you have thoroughly considered this position, the company, and your potential role within it. Saying no leaves a less than ideal final impression at the end of your interview. You should be ready for this question and have a preliminary list of questions to ask in your head -- for example, "Describe the ideal candidate for this position" or "What is the most important goal for the company this year?" Before you go on your next job interview, make a list of the questions you have been asked in the past that you weren't comfortable answering, and think about the questions from the interviewer's point of view. Ask yourself what the person asking these questions was looking for, and try to come up with truthful answers that convey the right type of information about yourself. Once you have a good idea about how to answer your most dreaded interview questions, get someone you trust to conduct a mock interview with you. This will be an opportunity for you to prepare for your interview by practicing verbalizing your responses in a non-threatening environment. Ask the individual who is helping you to give you honest feedback on your responses so that you can perfect and polish your answers in preparation for your next real-life job interview situation.